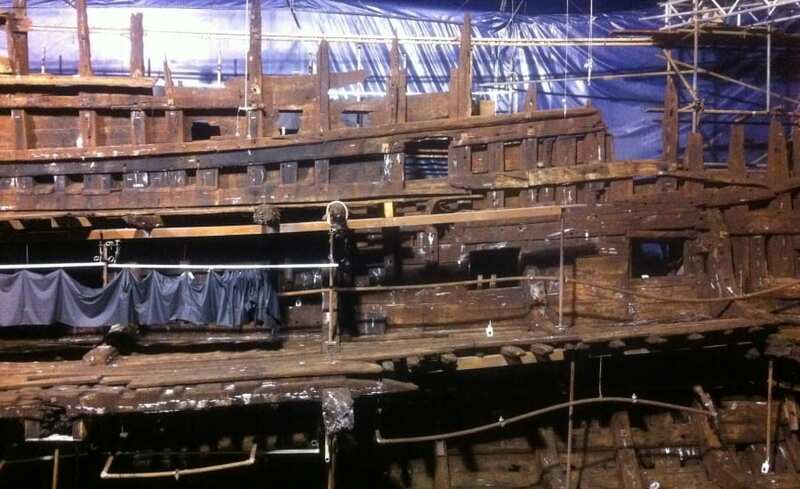 Today, 31 May, the brand new state of the art museum for the Mary Rose will open to the public. Architen Landrell have worked on the project for the past two decades – we look forward to experiencing first-hand the new space and exhibit. Architen was fundamental to the successful redevelopment of the museum. Using innovation and technology, we designed, manufactured and installed the ‘Hot Box’ which envelopes the delicate 500 year old ship. For the construction of the new museum, we dismantled most of the building surrounding the hot box, which also required major alterations to facilitate the work on the new museum. This completely insulated double skin PVC structure provided a temperature controlled environment while the Polyethylene Glycol spraying phase of conservation took place. This large semi-tensile structure will remain intact inside the new museum through the final air-drying phase of conservation until 2016, at which time it will be removed. Measuring the size of about four tennis courts, the hot box is a safe space where all of the conservation efforts have been taking place. In addition to the internal hot box, Architen was responsible for dismantling two thirds of the Weymms building (the original museum) which housed the hot box. This was an extremely complex task, given the hot box had to remain intact and fully supported with additional steel beams. Services had to also be moved which was very difficult, given power was required 24 hours a day to keep the chemical restoration sprayers performing and the internal temperature kept at an optimum temperature of 19 C. Adding to the challenges, all of this work took place on dry dock 3, a Grade I listed building that dates back to 1800. Every detail of this project had to be perfectly managed and considered. 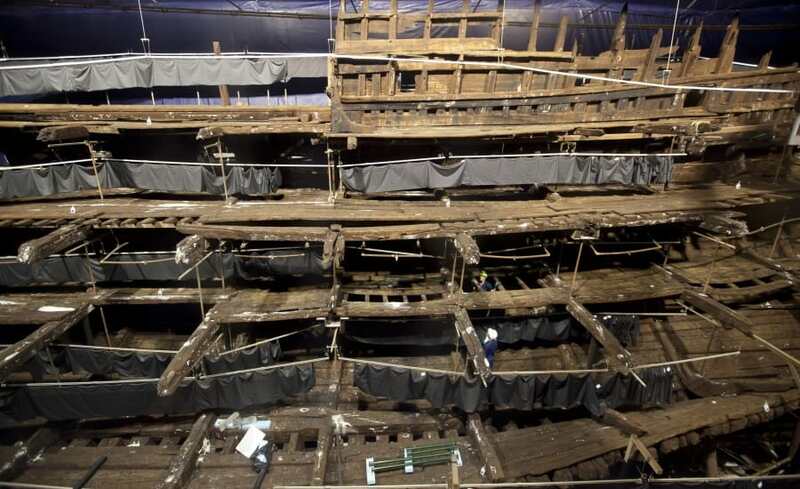 We are proud to be associated with the Main Contractor, Warings and the Mary Rose Trust. 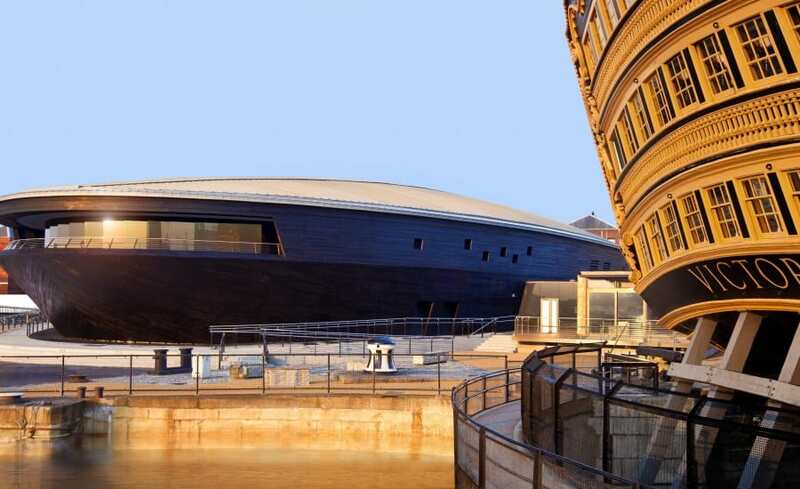 As one of the most ambitious heritage construction projects in Europe in this decade, Architen is pleased that today, the public will now get to experience the Mary Rose in its stunning new museum. The following time lapse video shows Architen removing the temporary museum and reinforcing the hotbox, making room for the new museum. The Mary Rose is a Tudor ship, built in 1510. In service for 34 years. Sank in 1545. Discovered in 1971. Raised in 1982. 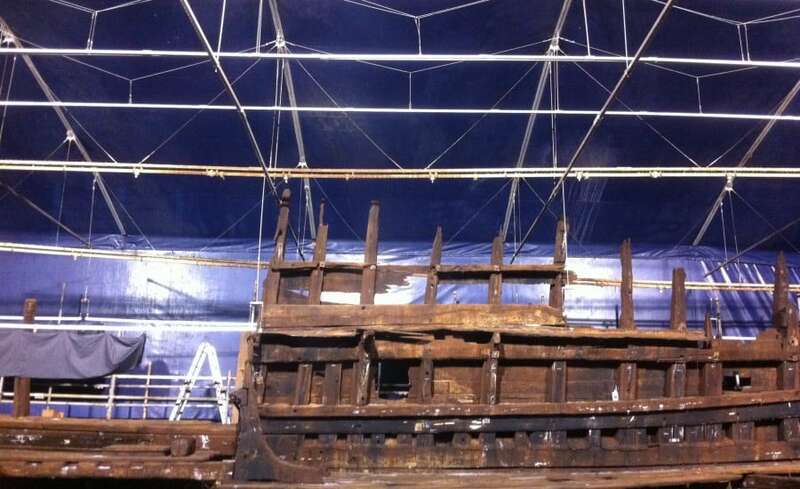 Now in the final stages of conservation, she takes centre stage in her new 27m museum.